The BJP in its manifesto promises to build a New India that takes from its rich culture and said that it would 'invest in strengthening our cultural roots and preserving civilizational continuity'. Prime Minister Narendra Modi and BJP President Amit Shah after the release of BJP manifesto (Sankalp Patra) for Lok Sabha elections 2019, in New Delhi. New Delhi: In the BJP Manifesto, Sankalp Patra released on Monday, the ruling government proclaimed that its philosophy as a party is anchored to the civilisation ethos of India. To highlight this claim, the BJP promised to build a New India that takes from its rich culture and said that it would “invest in strengthening our cultural roots and preserving civilisation continuity”. “Far from seeing our cultural values as hurdles to progress, we see them as essential ingredients of our future,” the manifesto read. 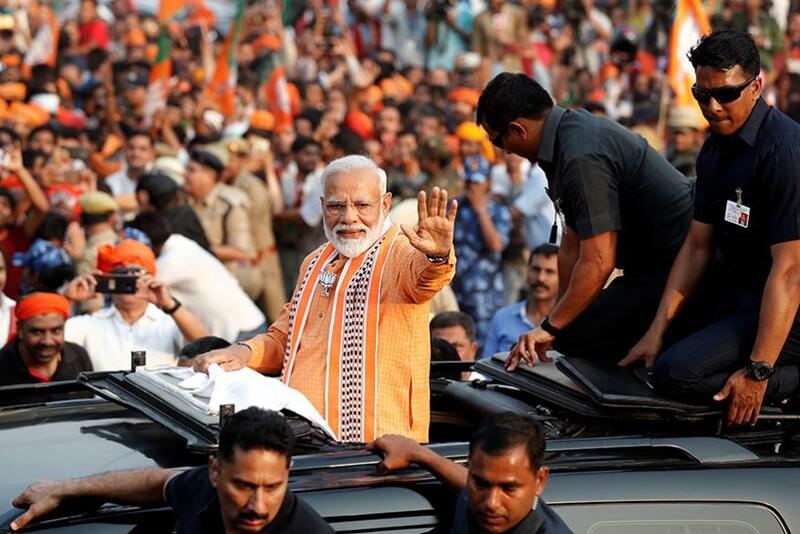 Apart from reiterating their stand on the Ram Mandir, the Sabrimala temple and Uniform Civil Code, the party manifesto announced policies aimed at promoting ancient India's traditions such as Yoga and the Sanskrit language. “We will ensure that the teaching of Sanskrit is expanded and popularized at the school level. We will also provide 100 Panini fellowships to researchers and scholars across India to promote research in Sanskrit,” BJP said in its manifesto. BJP said it will also constitute a National Task Force to study the status of all written and spoken languages and dialects in India. To increase accessibility and promote all culturally and historically significant heritage sites and museums in India, it will launch a web-enabled virtual tour of all such locations through ‘Dharohar Dharshan-an integrated web portal’. This will eliminate the obstacle of geographical boundaries, and provide real-time experience of Indian cultural heritage, accessible from any corner of the globe, the party claimed. The government is credited with promoting Yoga globally, and in the manifesto BJP said it will continue to make efforts at doing so. As of now, June 21 is celebrated as the International Yoga Day. “We will promote Yoga as a vital method to achieve physical wellness and spiritual rejuvenation across the globe and will continue to work towards training of Yoga practitioners,” BJP manifesto stated. They have also promised to have a rapid expansion of Yoga health hubs, Yoga tourism and research in Yoga. Apart from this, an International Cultural Festival will be organized on a grand scale every year in 5 different states to showcase and promote the rich diversity of Indian culture and efforts will be made to ensure greater participation of Pravasi Bharatiya population, along with the international community. The party also promised that it will invest more in its earlier schemes, the Pilgrimage Rejuvenation and the Spirituality Augmentation Drive (PRASAD) by the Ministry of Tourism that look after the conservation of heritage sites. “We are committed to conserve and promote all culturally, religiously and spiritually significant heritage sites related to every faith in India,” the manifesto read. In 2015 twelve cities namely Amaravati (Andhra Pradesh), Gaya (Bihar), Dwarak a(Gujarat), Amritsar (Punjab), Ajmer (Rajasthan), Kanchipuram (Tamil Nadu), Vellankani (Tamil Nadu), Puri (Odisha), Varanasi (Uttar Prasesh), Mathura (Uttar Pradesh), Kedarnath (Uttarakhand) and Kamakhya (Assam) were identified for development under this scheme. BJP also said that it is commiteed to the preservation of the Ganga River and will ensure the clean and uninterrupted flow ofthe river water from Gangotri to Ganga Sagar. The manifesto said that it we will ensure that the sewerage infrastructure to deal with 100% of the waste water from Ganga towns is completed and is functioning effectively, and will take steps to enhance the river flow. “The villages located on the banks of the river, which are already open defecation free, will be taken up under a special project to ensure complete sustainable management of solid and liquid waste,” the manifesto read.